There are five magnificent temples here. The Adinath Temple (Vimala Vasahi) and Neminath Temple (Luna Vasahi) are the most notable. 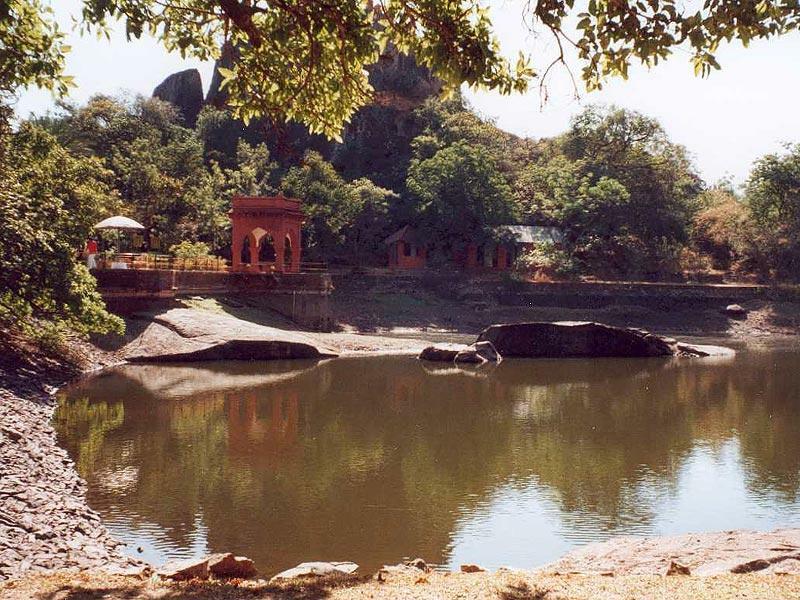 The Adinath Temple (Vimala Vasahi) was built completely of white marble in the 11th century (1031) by Vimala Shah, a minister of the Solanki king, Bhima I. 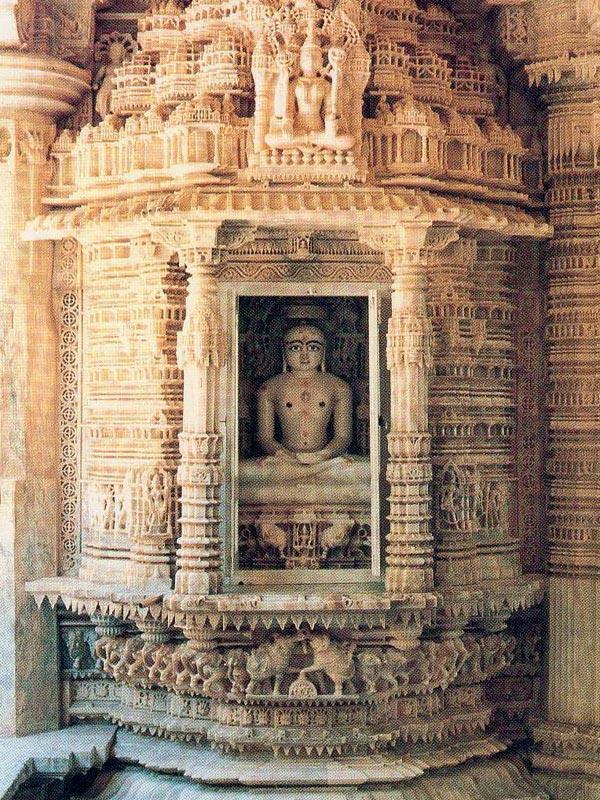 It is dedicated to the first Jain tirthankara, Adinath. 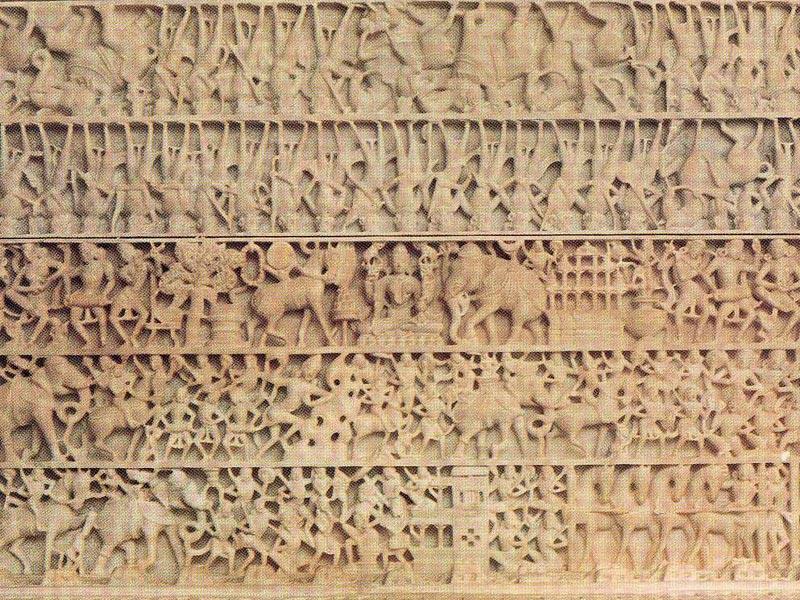 It is covered with very superb carvings. 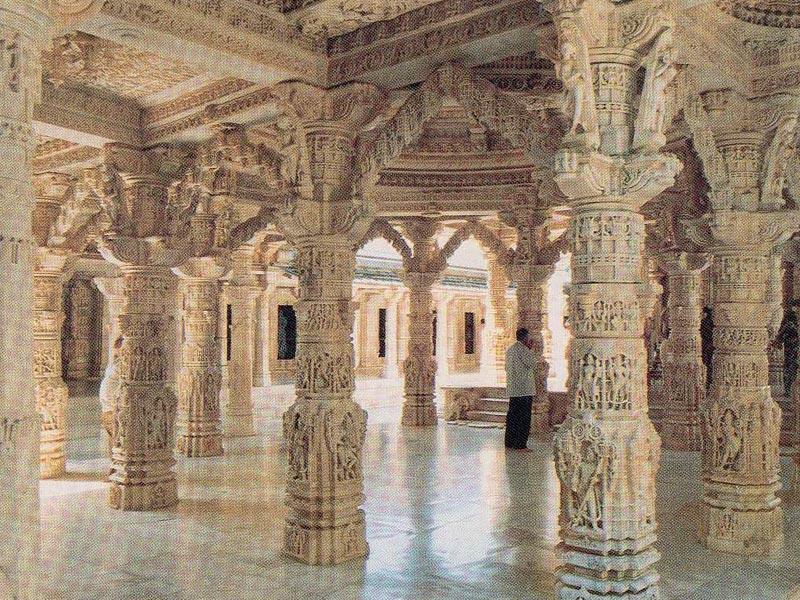 It is said that it took 1500 sculptors and 1200 laborers fourteen years to complete. The bronze figure of Adinath wears a gem necklace and has eyes made of precious stones. The temple is said to have cost 180 million rupees. Surrounding the courtyard are fifty-two identical cubicles, each containing a figure sitting in meditation. The temple has intricate carvings of Narasimha and Krishna’s pastimes. On the ceiling of the thirty-fourth cell (old No. 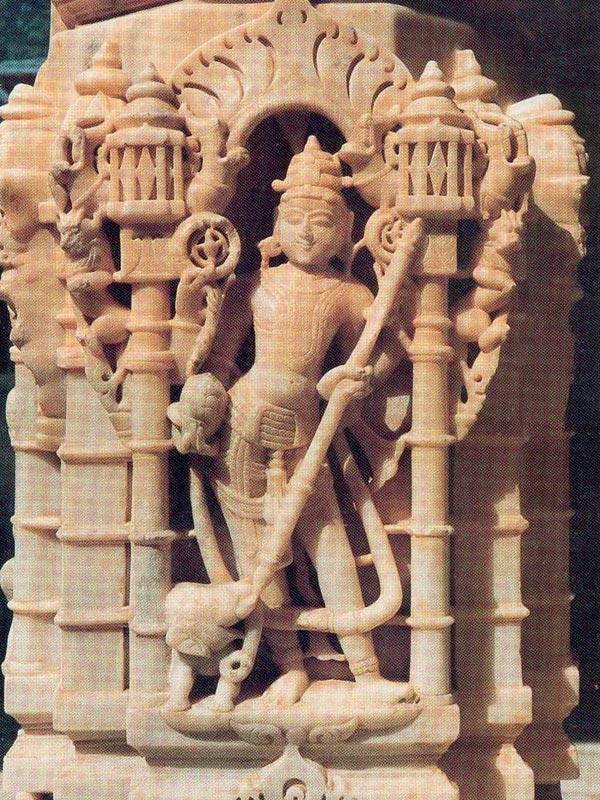 29) is a beautiful sculpture of Krishna subduing the Kaliya snake. When you come off the street into the temple complex, directly in front of you is the small Mahavir Temple, and slightly to the right is the Adinath Temple. 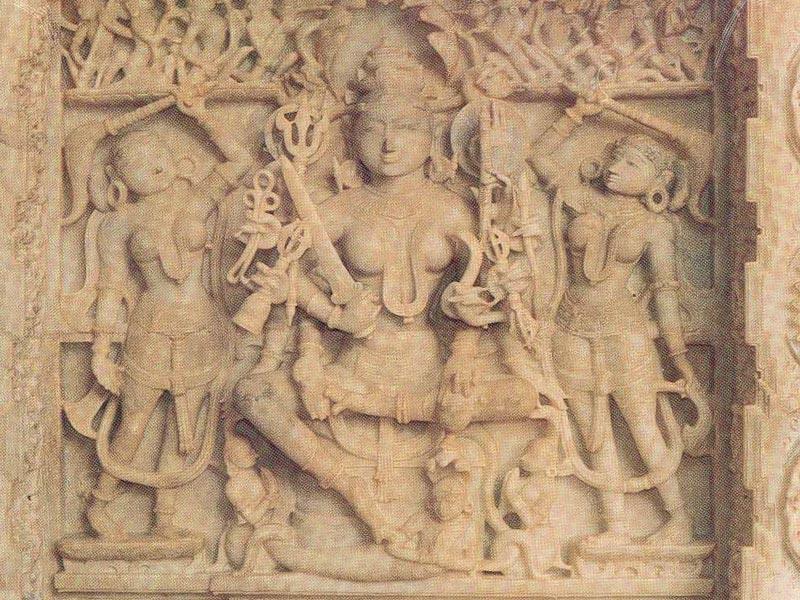 The Neminath Temple (Luna Vasahi) was built in 1231 by the brothers Vastupal and Tejapala, ministers of the king of Viradhaval in Gujarat. 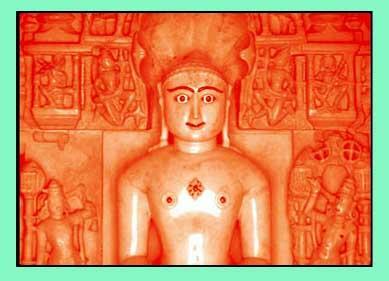 It is dedicated to the 22nd tirthankara, Neminath. 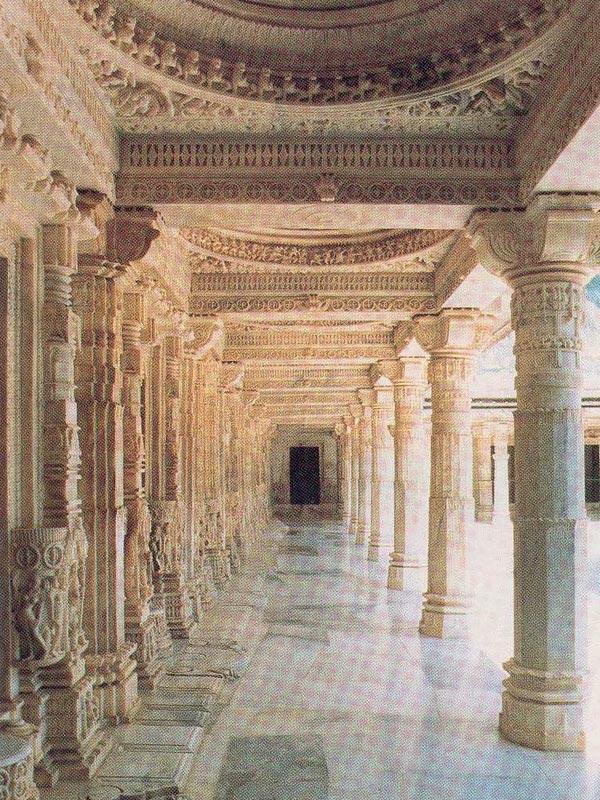 The carvings on this temple are extremely intricate. The lotus on the center of the dome is outstanding. Several full-time carvers are employed to maintain and restore the temple. 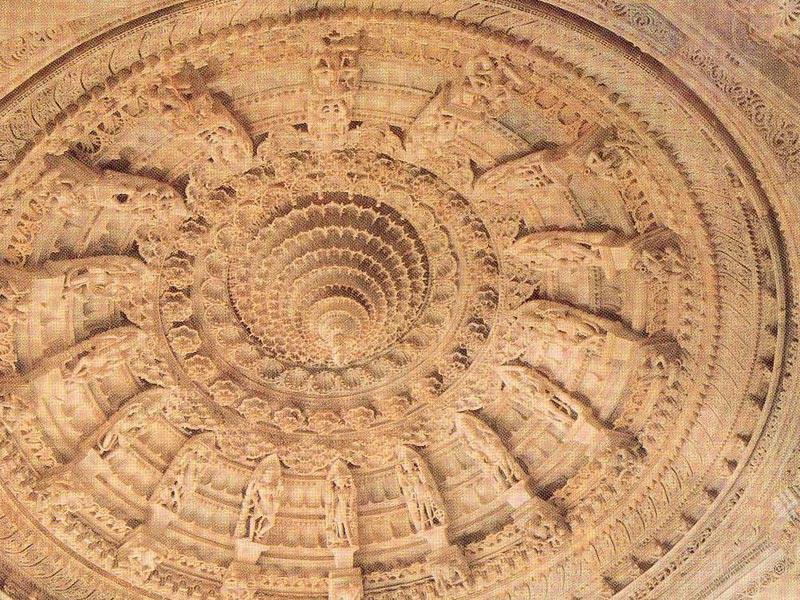 The Chaumukha Temple (Parsva­natha) was built around 1459 and is the tallest of the Dilwara temples. The unfinished Sri Risha Deoji (13th century) has a huge, 4.3 ton tirthankara statue made of panchadhatu (five metals)—gold, silver, brass, copper, and zinc. 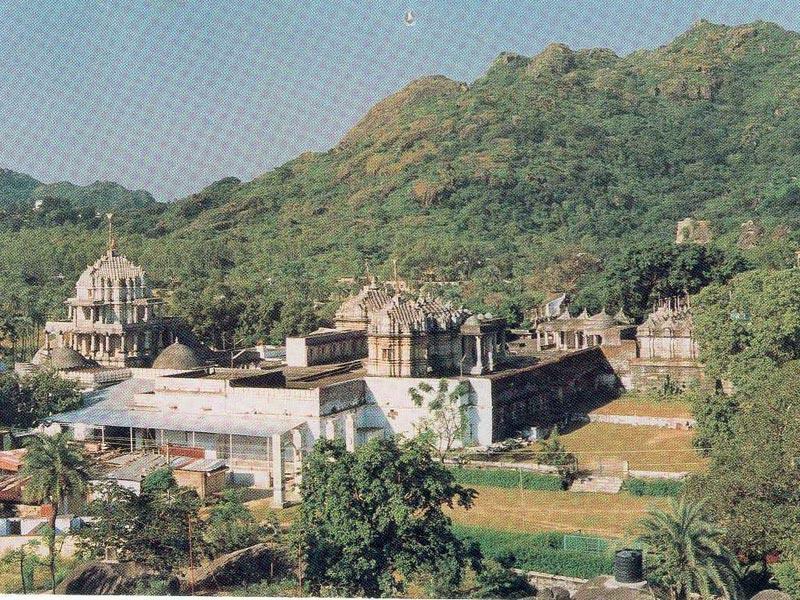 These temples are open from 12 noon to 6 pm for non-Jains. Visitors are not permitted to bring anything leather into the temple; this is strictly enforced. Video cameras are also prohibited. There is a sign at the entrance that says: “Entry of women on their monthly course is strictly prohibited.” Women may be questioned about this. These temples are a one-hour walk from the downtown. 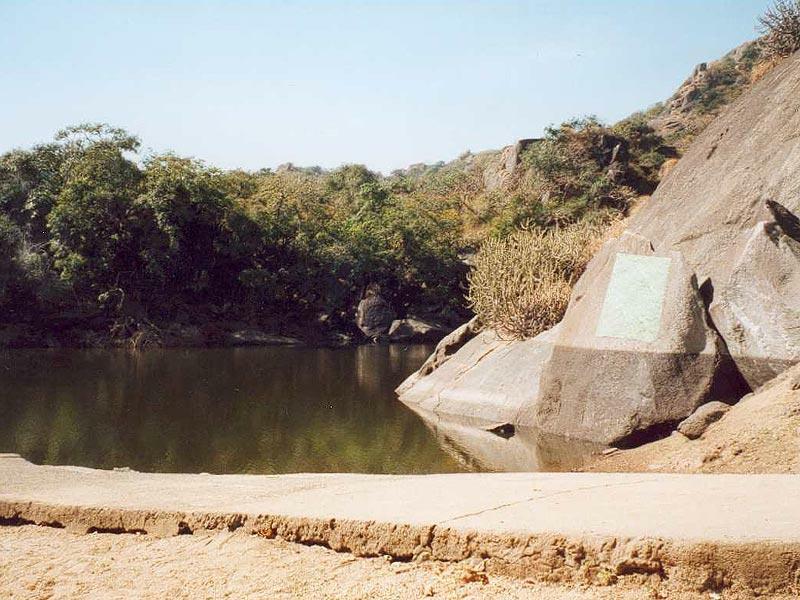 Shared jeeps (Rs 3) come here from Mount Abu. 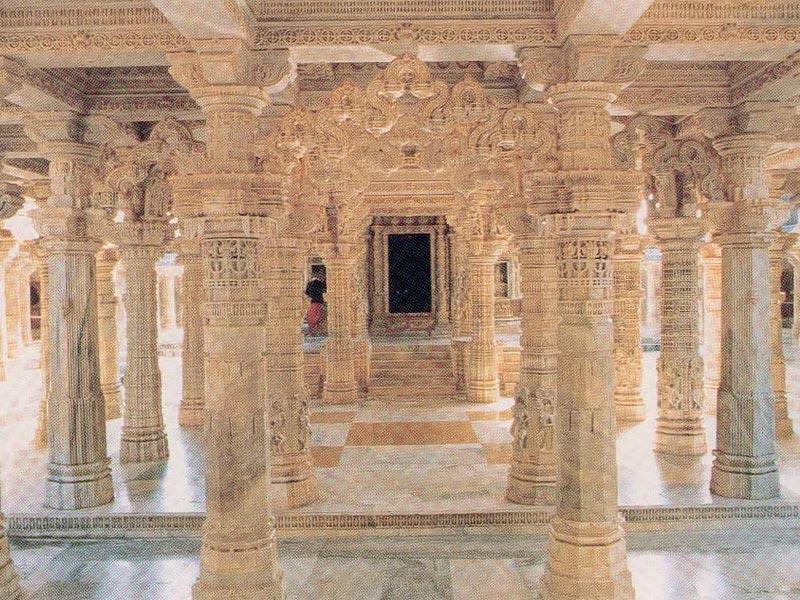 There are four ruined temples to the northwest of the Jain temples including a Vishnu temple and the Kanya Kumari temple.